While attending the Master's Cup, stay in this lovely top floor condo in a Late Victorian style building in Pacific Heights, a premiere neighborhood in San Francisco! Its style is comfortable yet elegant. It remains true to its vintage roots yet has all modern amenities, is full of interesting artwork and is perfect for two. It has a living room with a 42" Sony Bravia (and dvd), one bedroom with a queen bed, a den, bath with tub/shower, and a wonderful combined kitchen/dining area that has a nice view looking east to the cityscape of San Francisco. Wifi throughout. 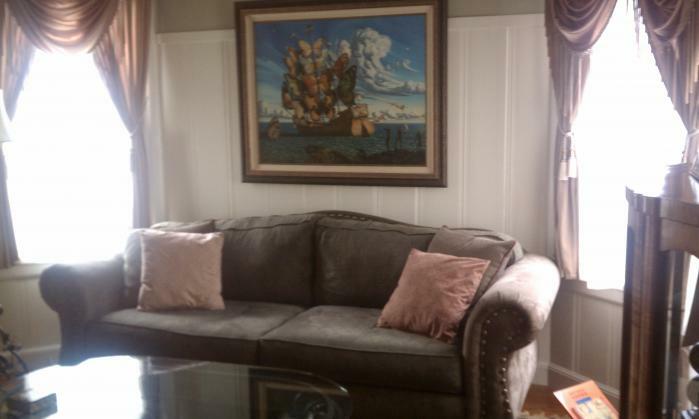 This rental is located in San Francisco, California 94115 and has 3 upcoming nearby events. 2019 US Open Golf and is located 88.7 miles away from Pebble Beach. 2020 PGA Championship and is located 5.2 miles away from TPC Harding Park.